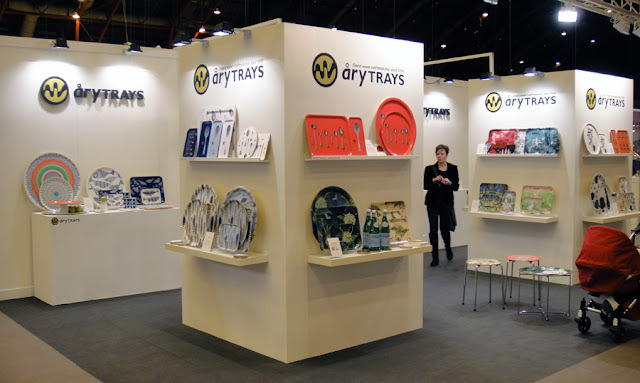 I went along to the new Home trade show in London yesterday and it was really good to catch up with Joakim, Madeleine and Isabel who are in charge of selling at Åry Trays. The stand looked great - there are a lot of different collections in addition to the Alabasta ones for Åry, such as trompe l'oeil hand drawn spoon and feather designs by Michael Angove, supremely talented draughtsman and old friend of mine. 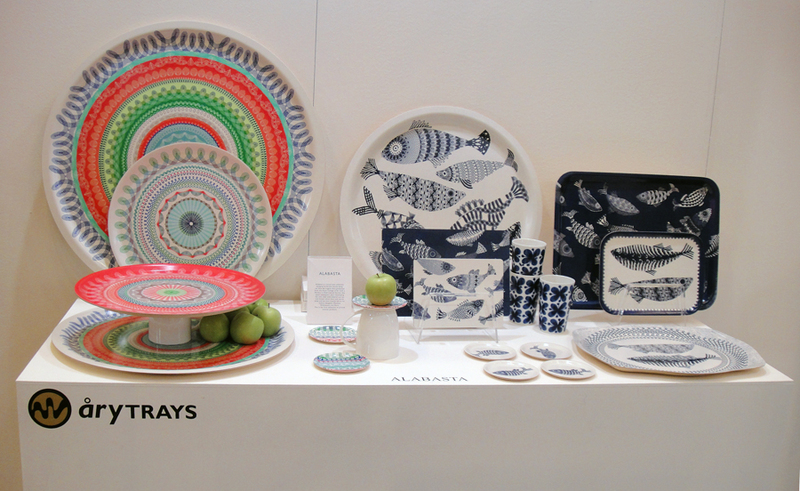 Sales were looking good and much improved on last year's January show - more new shops have bought the Alabasta ranges which I will list as soon as I know the details. A good start to the year. The next trade show Åry Trays will be exhibiting at is Ambiente - an overwhelmingly huge interiors show in Frankfurt in the middle of February. It's all systems go at Åry HQ!